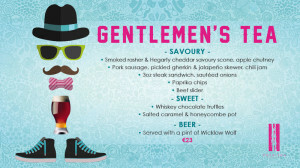 The Morrison Hotel in Dublin has offered a clever alternative to afternoon tea especially for Father's Day: the Gentleman's Tea. Tea, fruit scones and light sandwiches have been replaced with more robust offerings such as smoked rasher and cheddar scone, steak sandwiches and beef sliders. Tea has been ousted in favour of something a bit more 'manly', a Wicklow Wolf beer. Speaking about the new menu, the Morrison's general manager Patrick Joyce said: "At The Morrison we aim to come up with different ideas to get people talking and more importantly, enjoying the fantastic creations from our Head Chef. "No other hotel in the city is doing anything like our Gentlemen’s Tea so we are delighted that we are the first." The full menu, including the sweet offerings, can be seen below. 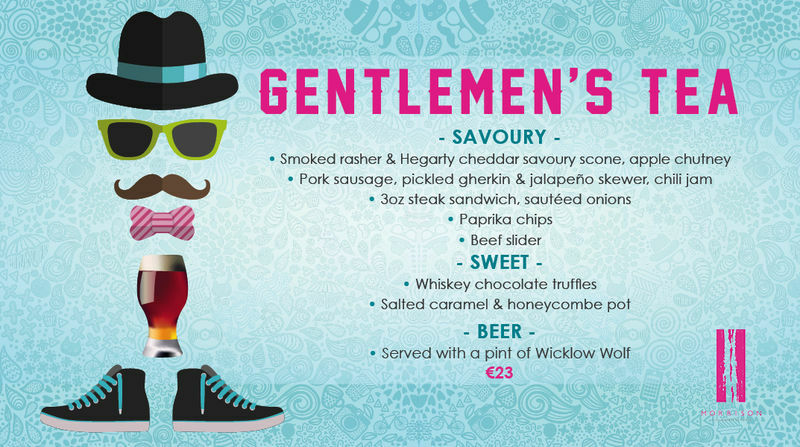 The Gentleman's tea costs €23.